The pictures in this book are exept of a few ones all in black and white. For me that is ok, I don't like coloured pictures of a puppy that is being born, but I can imagine that if you really like those things, that maybe a new print of this book should be nice, because of some coloured prints. I like it this way. 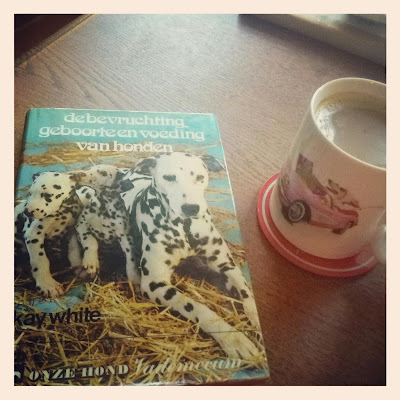 In my country is the book de Geboorte van de Hond by mr Naaktgeboren a must for the study of Canine knowledge but I think this one will do the trick also for a big part, this is an easier written book, and less tabels and graficks. Things about food are chanching all the time so I bet, those insights are a bit old fashioned now, but I find this book a very warm welcome in the world of breeding.